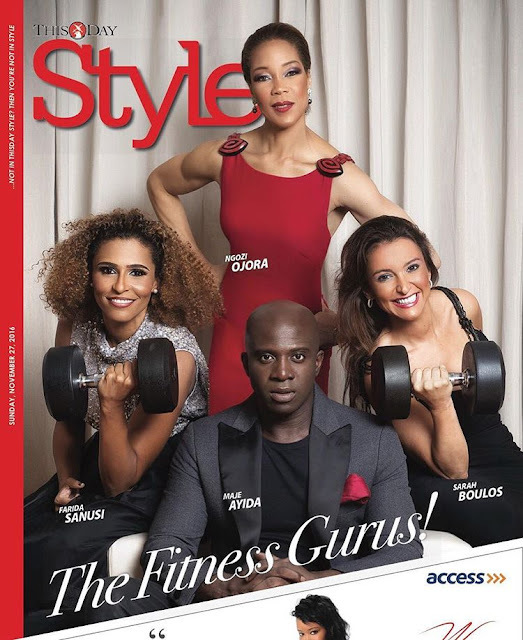 Maje Ayida is on the cover of ThisDay Style today as he appears alongside leading fitness gurus Ngozi Ojora, Sarah Boulos and Farida Sanusi. 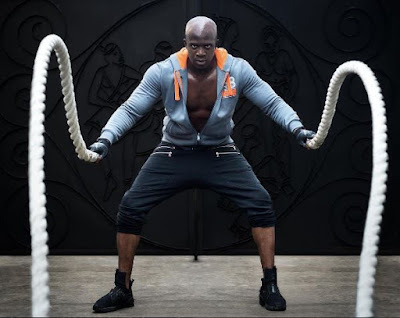 high fitness is in vogue these days.... bro is sitting well in his profession! This guy black pass Kiwi polish oooo and nah because of the Eti Toke bleach her skull,"Nonsense people "